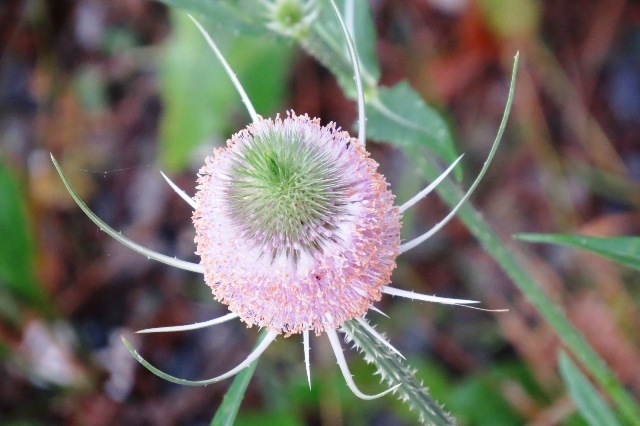 Art is everywhere- flowers are the most art-full of all things…. I may plant them, but Mother Nature is the true artist. I provide the “paper”, she creates them every year. Our gardens here at Mountain Meadows have a long way to go before they might be eligible for a spread in Country Living, Architectural Digest, or Country Gardens……but, we love them anyway. They are a work in progress. Sometimes, the flowers don’t wait for us to place them – they just show up- volunteering to bloom, in a place they see fit!!! 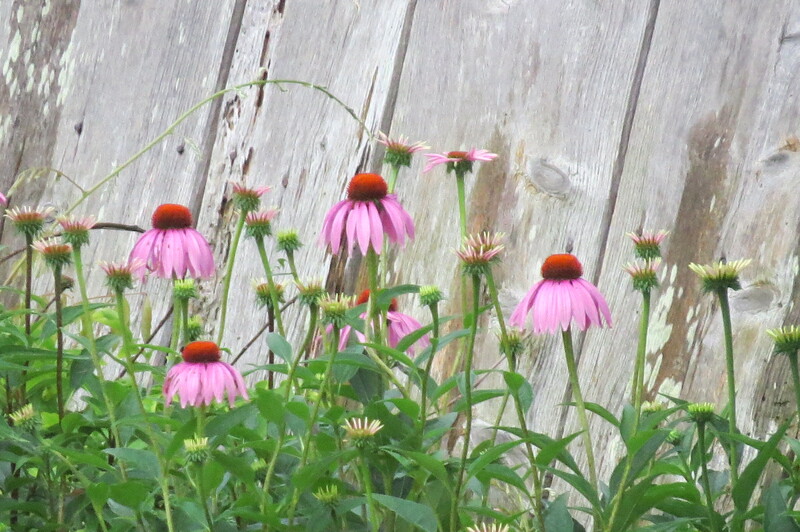 My coneflower garden was purposely put there- taking volunteers who kept trying to bloom in my herb garden!! I decided these needed a home of their own – and they finally got the hint!!! 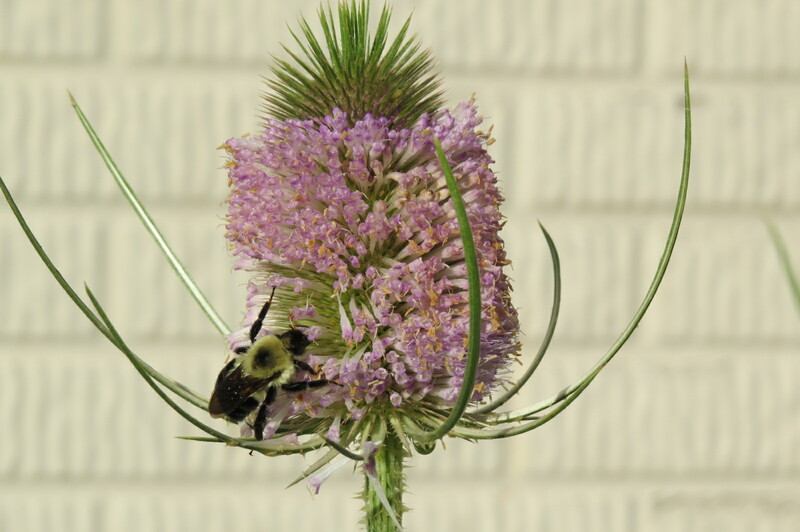 Teasel grows wild – everywhere but near me- so I finally got some to grow right outside my basement door. I love it for dried arrangements in the fall. Bees love it now!! 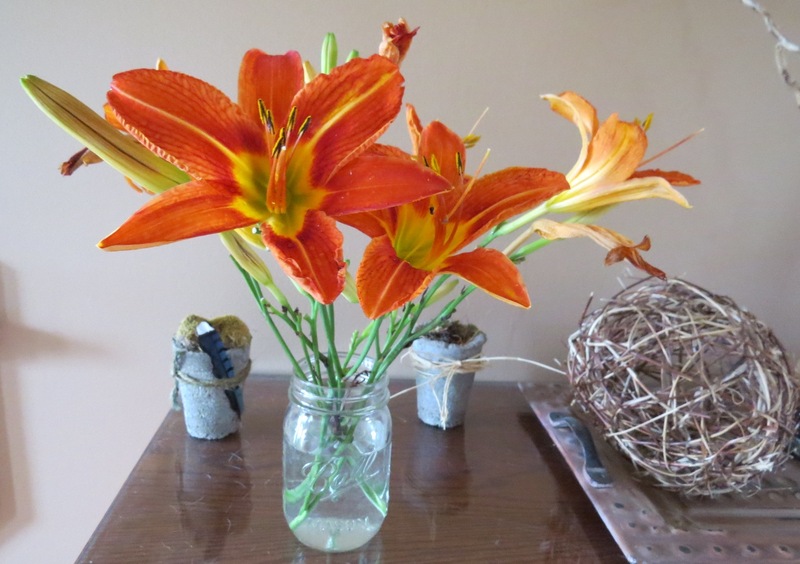 Day lilies are in bloom along the sides of fields and the roads. The bloom lasts one day, dies, and then the next one opens. They are VERY prolific. The old farmhouse garden is so filled with them, that alot don’t even bloom. 6 years into living here, and I finally convinced Mr. Green Jeans I need HELP moving and thinning these out!!! 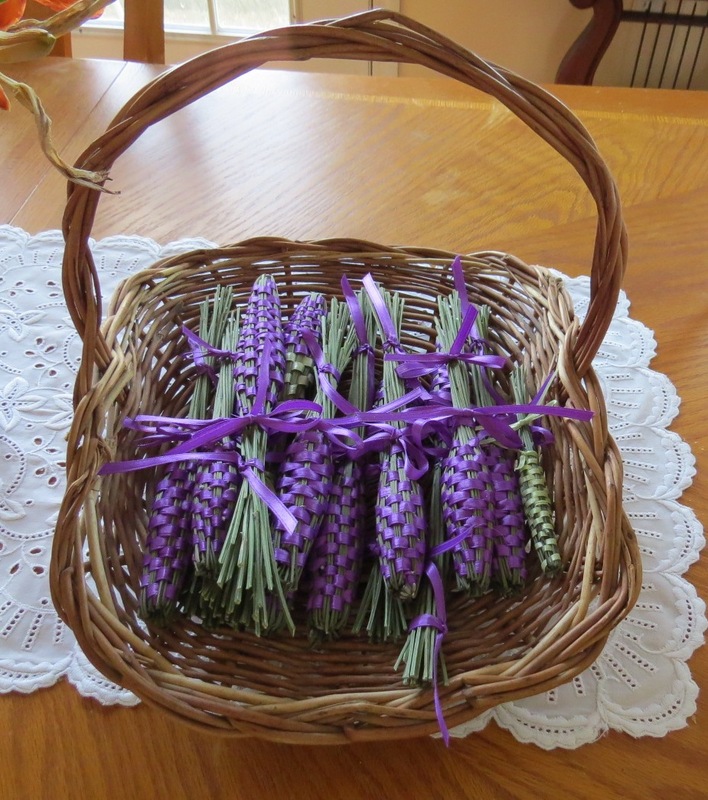 Lavender is also in bloom – as I try to furiously weave lavender wands each day, from the tall English lavender bed in my front garden. 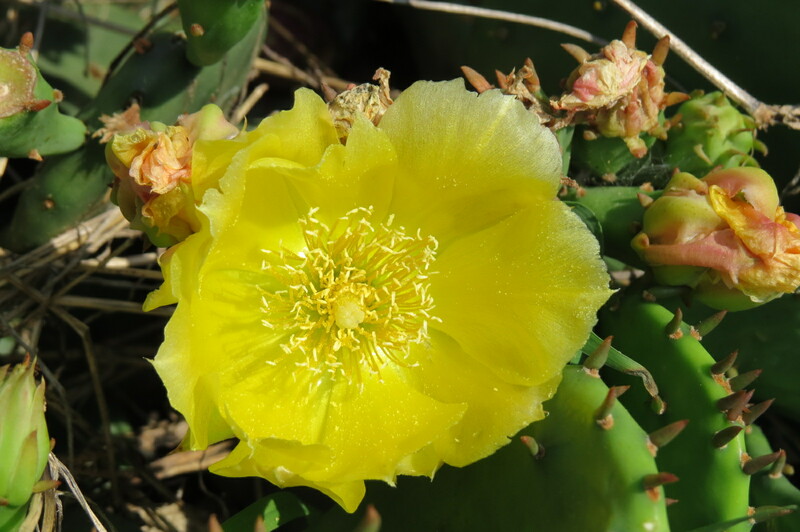 My cactus flowers are starting to slow down now – their bright yellow bloom also lasts for only a day – but there are many new ones each day. The baby magnolia, will probably never be a grownup in my lifetime!! 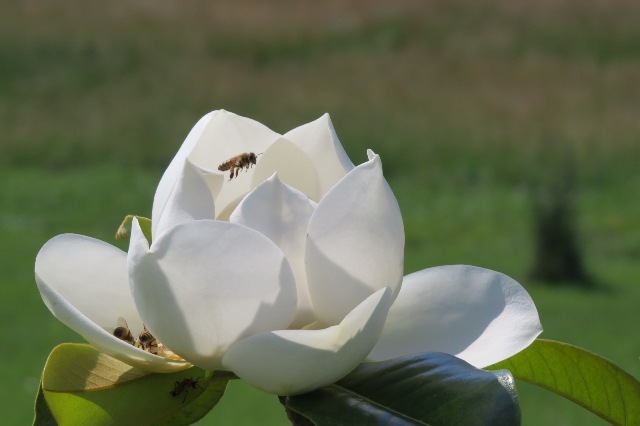 There were 5 blooms this year…….so, if you are planning on getting a magnolia tree – if you can afford it, go for the big one!! They are slow growers…. 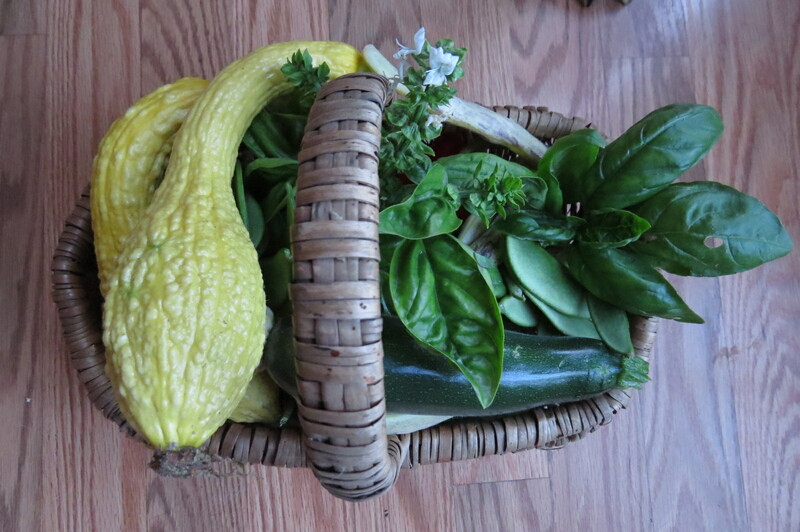 The vegetable garden is starting to produce – this small harvest was from last night – crook neck squash (from Baker Heirloom Seeds), zucchini, several kinds of heirloom string beans, snap peas, snow peas, and after a rough start – basil is doing well!! Can’t wait for the corn, amaranth, melons, tomatoes, eggplants……. 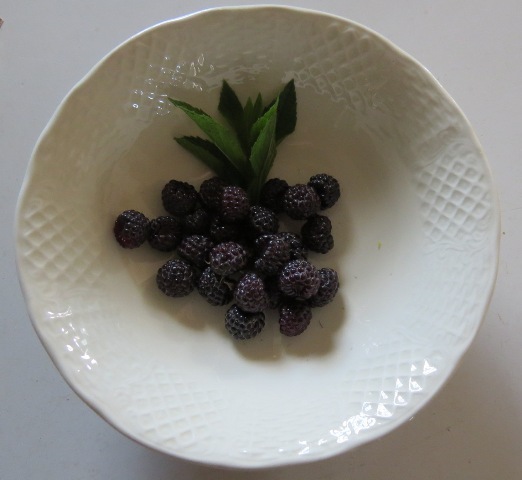 Every day, the blackberries are ripening and being thoroughly enjoyed by me!!! I haven’t even made it to the wild berry patch in the woods, my homegrown patch is doing so well!! Mint and hops are flourishing within the berry patch too!! Thought I would just share a little view of Mother Nature’s floral works of art around the farm – time to get off the computer, and get pickin’ ….all is well, bright, and sunny, at Mountain Meadows this morning…….